Mozilla Firefox, what can I say about it that hasn’t been said before? Some may claim that Firefox has grown into a hard to tame beast. Others will list all the advantages of running Firefox: extensions, flexibility, constant new developments, huge fan/user base, and great support. In short: Internet Explorer’s biggest rival since Netscape. While Mozilla’s “open to user manipulation” nature generally is a benefit, it can also cause a lot of issues. As a result, Mozilla’s flagship browser may be buggy, i.e. slow launch, slow page loading, unstable, crash often. However, most of these bugs are man made and chances are you can easily fix them yourself. Let the following tips be your complete Mozilla Firefox troubleshooting guide. Some very common issues are listed between step 3 and 4. First, I assume your Cache is cleared! This can be done under > Tools > Options > Advanced tab > Network tab > Offline Storage header > Clear Now button. Eventually grant more Cache space. Finally reboot Firefox and proceed. Before analyzing your issue(s) in detail, make sure you’re running the latest version of Firefox and its add-ons, such as extensions, themes and plugins. Per default, Firefox regularly checks for updates. Plugins, however, can not be updated automatically! Download and install browser updates if necessary. If your problem persists, check extensions and themes (step 2). Update extensions: Within the Add-ons window / sidebar: > click on the extensions icon, then go to the menu above and click > Tools > Check for Updates. Wait until checkup completes and proceed with installing updates. Update themes: Within the Add-ons window / sidebar: > click on the themes icon, then go to the menu above and click > Tools > Check for Updates. Wait until checkup completes and proceed with installing updates. Restart Firefox after updating extensions and/or themes. If your problem persists, check plugins (step 3). If you think there is a compatibility issue with a specific extension or theme, you may find clues on the Mozilla Knowledge Base, the comments for that extension/theme on the Mozilla Add-ons site or the creator’s website/FAQ. Firefox does not automatically update plugins! Plugins allow viewing of various content types, e.g. PDF, Flash or DivX. In some cases, plugins are installed manually and also require a manual update. Usually, Firefox automatically recognizes third party software installed on your computer and integrates required plugins from there. Issues may occur in Firefox, if you have not updated plugins or software that provides necessary plugins, e.g. RealPlayer or QuickTime. Update plugins: Open the Mozilla plugins website. Under > Documentation select your > operating system, then switch to > A – Z listing. Within the Add-ons window / sidebar click on the > plugins icon and compare the plugins you have with the versions listed on the website. Update plugins or respective software as needed. Make sure you disable second and third instances of the same plugin. Reboot your computer after updating plugins or respective software! If your problem with Firefox persists, proceed to step 4. If you think that you’re having an issue with a specific plugin, check the Mozilla Knowledge Base for specific information. They also provide tutorials for installing plugins. After making sure everything is up to date (if possible), let’s look at some common issues before proceeding with general steps. I will point you directly to the respective articles on the mozillaZine or Knowledge Base. More specific issues can be found on the mozillaZine Issues with Firefox page. For general advice on how to troubleshoot issues with Mozilla Firefox, please proceed. Exit Firefox, make sure it’s not running.On Windows, open the > Task Manager (right-click on > taskbar and select > Task Manager from menu), switch to the > Processes tab, click on > Name to sort entries alphabetically and try to locate > firefox.exe. If you still find it, right-click on the > firefox.exe entry and select > End Process from the menu. Do not select any of the options for Safe mode. You don’t want to make permanent changes, yet. Simply click > Continue in Safe Mode. Saikat has recently written a post about How to Use Mozilla Firefox in Safe Mode How to Use Mozilla Firefox in Safe Mode How to Use Mozilla Firefox in Safe Mode Read More , which provides more details and also explains how to launch it under Linux and Mac OS X. If Safe Mode solved your problem, I recommend to proceed to step 5 and then either reset one customization after the other (i.e. add-ons, toolbars and controls, bookmarks, preferences, search engines) until Firefox runs smoothly without Safe Mode or directly proceed to step 6. If Safe Mode did not help, proceed to step 5, followed by step 7. 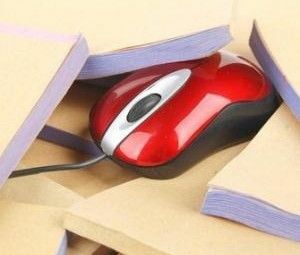 Before you make any permanent changes, you should seriously consider backing up any valuable information, such as passwords, bookmarks and custom settings. Here are several different strategies that will help you back up just what you want. I recommend to make separate backups for bookmarks, passwords and extensions, rather than entire profile backups. Chances are you’ll also import the issue, if you import your entire old profile into a new fresh Firefox profile or installation. Backup Bookmarks: This can be done manually. Go to > Bookmarks > Organize Bookmarks > Import and Backup > Backup and select a target. Instead of clicking > Backup you can also click > Export HTML… Later you can import your bookmarks via the same strategy. Backup Passwords: If Firefox is still rather stable and doesn’t crash, you can save your passwords using the Password Exporter extension. Otherwise, there is a manual way to do it. Navigate to your Firefox profiles folder and copy the following files: “signons.txt“, “signons2.txt” and “key3.db“. To restore, simply replace new instances of these files with your backup copies and voilÃ , your saved passwords are back. Backup Extensions: With a stable version of Firefox, you can try to use the FEBE (Firefox Environment Backup Extension) extension. Otherwise I recommend to backup the entire profile. Backup entire Profile: Again, if Firefox is stable enough to install an extension, you can try several different backup or sync tools. We have previously covered Weave. Otherwise I recommend MozBackup, a standalone utility that will backup your Firefox profile. If you don’t trust tools, you can again make a manual backup. Simply copy your entire profile folder. Creating a new profile will give you a quick way out of your issue in case Safe Mode fixed your problem. With a new profile you’ll start from scratch – no custom settings, no extensions, no plugins. In Windows go to > Start > Run and type > firefox.exe -profilmanager into the command line. In the window that will pop up select > Create Profile… and do so. Then select > your new profile and click > Start Firefox. If this fixed your problem you can begin to import your essential backups, as described in step 5. But be wary of importing your issue and try to import as little as possible. In other words: ditch some of those excessive extensions and plugins! If creating a new profile didn’t help, although Safe Mode helped, you can either return to step 4 and do a complete reset from Safe Mode or – if that doesn’t help either – I’m afraid you’re stuck with step 7. This is the last resort. If resetting or creating a new profile didn’t help, then your issue sits much deeper and you’ll need to completely remove Firefox from your system and do a fresh installation. Here’s how you should go about this process. Remove Firefox using the tools your operating system provides.In Windows, go to > Start > Control Panel > Ad or Remove Programs and uninstall > Firefox. Now rename, move or delete your Firefox profile folders (see step 5 for locating folders in Windows). If this fixed your issue, you can import your backups as described in step 5. As mentioned previously, be careful, you may also re-import your problem! If none of the above helped you probably have a very serious issue! You need expert help and I suggest you post your issue and what you have tried to resolve it at the mozillaZine Forums. Best of luck! There are a few more tricks and things you can do to improve the performance of Mozilla Firefox and we have previously covered a few of them. Maybe they will help you in the first place. Are you on XP? Is Firefox still crashing on you and none of these Mozilla Firefox troubleshooting tips helped? Try running Firefox in compatibility mode. Right-click on your > Firefox icon and select > Properties. Go to the > Compatibility tab and select > Run this program in compatibility mode for: and choose > Windows 2000 from the menu. Click > Apply to confirm. Faster Browsing! For example you can automatically load the next page, use keyboard shortcuts or download files faster. Reduce Load Time! Matt had a story about How To Reduce Firefox 3 Load Time on Windows. It involves 3 geeky steps that are very well described in his post. Need for Speed? Mahendra recently wrote The Ultimate Guide To Speeding Up Firefox 3.5 The Ultimate Guide To Speeding Up Firefox 3.5 The Ultimate Guide To Speeding Up Firefox 3.5 Read More , a post you should definitely check out if you’re only having minor speed problems. Clear Bulk Data on Shut Down! This is useful if you’re sharing your computer and you don’t want anyone to see what you’ve been browsing for. At least regularly clearing the Cache is something you should consider. Which extensions should I use? Good question! Only the ones you really, really need of course. Also you should look into some of the security and privacy extensions we have covered in the past. Check out Varun’s post about 10+ Best Firefox Security and Privacy Addons 10 Best Firefox Security and Privacy Addons 10 Best Firefox Security and Privacy Addons Read More as well as Dave’s post about Keeping Safe On The Web: 8 Firefox Addons For Privacy And Security Keeping Safe on the Web: 8 Firefox Addons for Privacy and Security Keeping Safe on the Web: 8 Firefox Addons for Privacy and Security Read More (some are redundant of course). Still having issues? You tried all of the above, you searched the mozillaZine for known issues with Firefox, you posted your situation on the mozillaZine Forums and you’re still stuck with a non-functional browser? Incredible! Well, you may not ever become happy with Firefox. 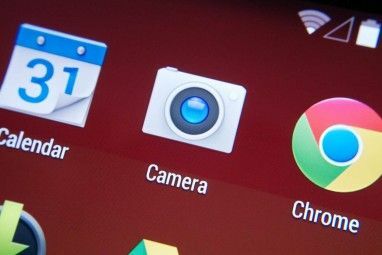 May I suggest switching to another browser, such as Chrome as David reports 6 Reasons Why Firefox Dude May Want to Switch to Chrome 6 Reasons Why Firefox Dude May Want to Switch to Chrome Read More or Opera, which is recommended by Laurence? Unfortunately, we’re not able to provide adequate Firefox support here, especially not across various operating systems. Rather than posting your specific issues in reply to this article, I recommend to post them in the mozillaZine Forums. Dozens of experts will review your situation and try to solve the problem with you. However, if you would still like to share your issue, we will try our best to point you into the right direction. And if any of the guidelines above helped to solve your problem, we would love to hear your feedback in the comments! Explore more about: Mozilla, Mozilla Firefox. Since upgrading to Firefox 3.5.5 when I try to print from Firefox it crashes, not every time but every other time or therteabouts. Why is this and what can I do about it? Buggy extensions can also cause havoc with Firefox. This has been happening for the last few weeks with the latest Skype update to version 4.1. Many people are installing the Skype plugin for Firefox and then finding that sites like Facebook, Google Reader and GMail have slowed to snails pace. And many are unaware that the buggy Skype extension is the problem and are blaming Firefox with some drifting away to other browsers like Chrome and Safari. Only a careful internet search brings up the real solution. The sooner that Skype fix this the better. But I don't know how today's announced takeover of Skype will affect the speed that they tackle bugs. Great article Tina! I've been using Firefox for years, and honestly wasn't aware of many of these techniques...I've always ignored or found ways to bypass many of the problems that come up - but the troubleshooting techniques listed here really help get to the heart of what's causing the problem. My FF experience is going to be a lot smoother moving forward thanks to this article! I just have this feeling that this shouldn't be necessary. Don't get me wrong, I really like FF for the addons and it's my default browser on Ubuntu, XP and Vista - it's just that sometimes it feels like molasses running uphill and there's just not a lot you can do about that. If Chrome gets decent addon support my feeling is that FF will be in trouble. What theme is that for Firefox screen snaps on the top? The theme is Chromifox Extreme 3. However, one feature of Firefox I would like to tweak is the colour of highlighting. When I do a search for a term in a web page by doing Control-F, I would like all terms in the page to be highlighted in yellow (which it is not). Can anybody reading this post please post back with the info. You can do that with HighlightAll. After installation, you need to enable the tool, the default shortcut for that is F8. A status window in the bottom right of your monitor (on Windows) will indicate whether the tool is enabled or disabled. Then, instead of using search, you select a word with your mouse and all other instances of this word will be highlighted in the text. In the status bar you'll see how many times the selected word was found. I forgot to mention that I use more than 20 extensions :D But its because of these extensions that I love Firefox. And I bet that's where your issues with Firefox 3.5 originate from! It's probably just be a single one of them, hopefully it will be updated and fixed soon. 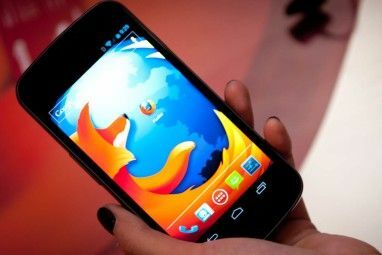 "The Mozilla Foundation has now released information on two old SSL certificate processing vulnerabilities which have long been fixed in Firefox 3.5 but are still present in Firefox 3.0.x, and are set to remain so." "The Mozilla Foundation is recommending that Firefox 3.0.x users should now upgrade to 3.5.x â€“ support for the former is set to end in January 2010." Stick to Firefox 3 and you wont have any problems. Last time I tried Firefox 3.5, it was horrible. I'm using Firefox 3.5 and haven't had any issues with it. I am using Firefox 3.5, I am going back to 3 due to tons of problems also. I cant count the times my bookmarks have vanished. After getting those back where they belong, next problem, I keep getting a notice saying 3.5 is available. Next situation, I keep getting plug-in notices saying I need to install the following in order to view all media on page. ( No problems viewing media, plug-in supposedly missing is quick time) Not had the time to find work arounds or to investigate problems . Im sure they will get it fine tuned soon, until then, I must go back to 3. Thanks for the suggestion Abhijeet! The error console is very helpful when you're having a serious or a very specific issue. In order for #2. Extensions and Themes to work you'll need my extension, MR Tech Toolkit. Native add-ons window has no extended menu options or enhanced features. Indeed! It will look different if you don't have that extension installed. Thank you very much for pointing this out Mel! In Firefox 3.5 you can simply click the "Find Updates" button, though. It's also visible in the screenshot.